Cruella De Vil Costume – Just Like the Cartoon! 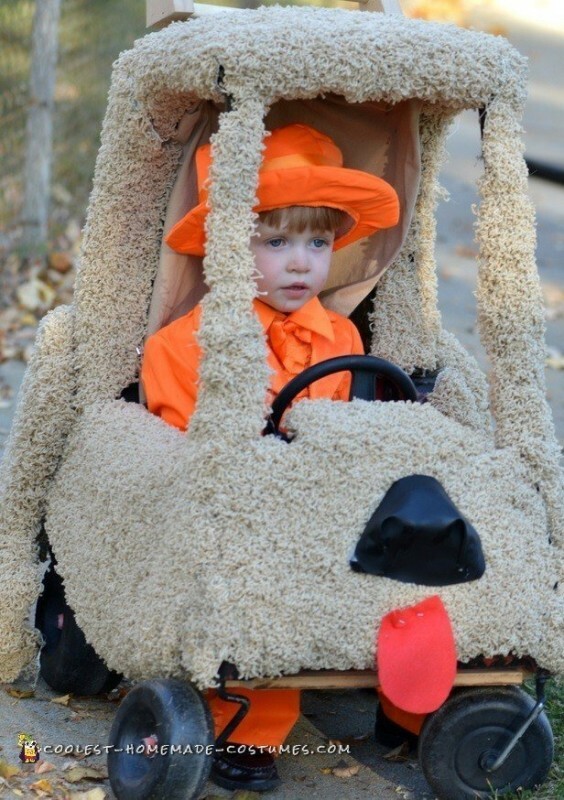 I wanted my son to be something funny for Halloween, so we dressed up father and son in Dumb and Dumber costumes and created our own little Mutt Cutts van. 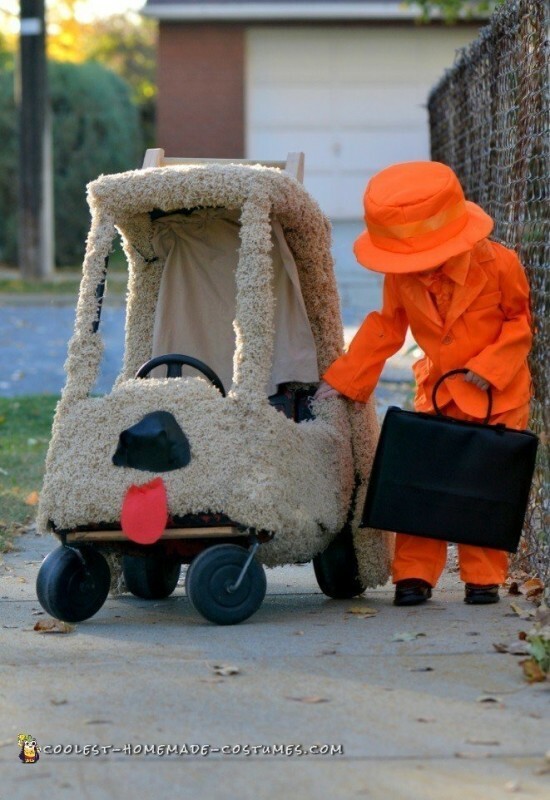 He went as Lloyd and wore an orange suit. 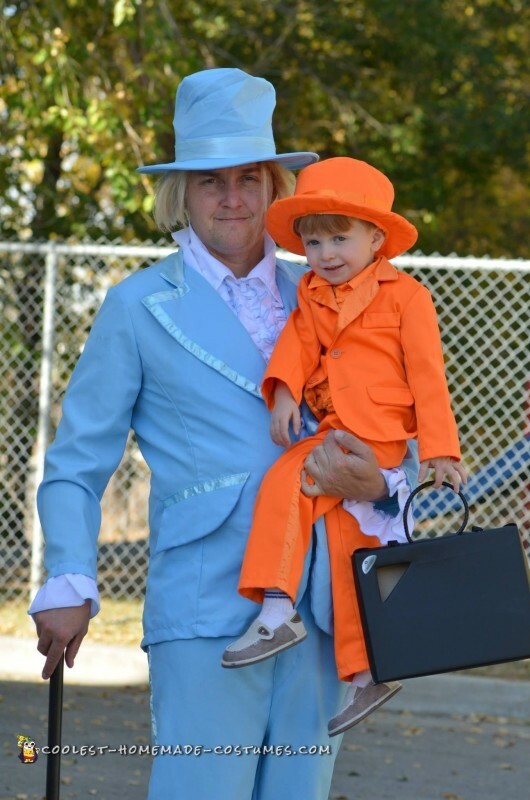 His dad went as Harry and wore a powder blue suit. We covered the “van” with a piece of old carpet that was donated to us from the carpet store. We also staple-gunned carpet down the legs which were cut from pressed wood. His “briefcase” was his trick or treat bag. This was actually a pretty cheap project to complete, and it turned out so cute.